The recent discovery of 22 barrels buried on former U.S. military land in the city of Okinawa could be posing the same level of risks to local residents as dioxin hot spots in Vietnam where the American military stored toxic defoliants during the 1960s and 1970s, according to two leading Agent Orange specialists. Richard Clapp, professor emeritus at Boston University School of Public Health, and Wayne Dwernychuk, the scientist previously in charge of identifying defoliant contamination in Southeast Asia, recently cited the risks to Okinawa residents and urged the immediate cleanup of the land to limit the threat to human health. Dwernychuk also ventured that the discovery of the barrels may disprove the Pentagon’s repeated denials that military defoliants were ever present on Okinawa Island. 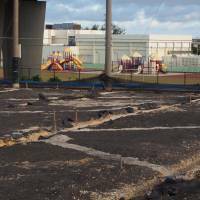 The scientists’ comments came in response to the July 31 release of independent tests undertaken at the request of the city of Okinawa by Ehime University — one of the nation’s top institutes for dioxin testing. The study revealed that all 22 barrels found beneath the city’s soccer pitch contained traces of the herbicide 2,4,5-trichlorophenoxyacetic acid (2,4,5-T), and 2,3,7,8-tetrachlorodibenzo-p-dioxin (TCDD), the most lethal form of dioxin. One barrel contained dioxin levels 840 percent above the safe standard, while samples of water taken nearby revealed levels 280 times the legal limits. Both 2,4,5-T and TCDD are two of the substances found in Agent Orange and other Vietnam War-era defoliants. 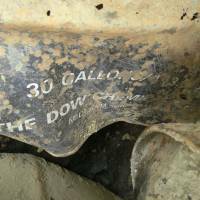 At least three of the barrels were labeled with markings from Dow Chemical Co. — one of the primary manufacturers of Agent Orange. “The Okinawa data, if accurate, are comparable to recent hot spot data collected in Vietnam. About half of the dioxin levels are above what (scientists) consider significant contamination,” Clapp told The Japan Times. That assessment was supported by Dwernychuk, who, as chief scientist with Canadian firm Hatfield Consultants, pinpointed more than 20 potential dioxin hot spots in Vietnam. “If some of the levels seen in the Okinawa sample data sheet for TCDD were found in the environment of Vietnam, recommendations would be presented for immediate remediation, with attention being paid to potential exposure pathways to local populations,” Dwernychuk said. Medical experts have long contended that these hot spots in Vietnam have plagued local residents with serious illnesses, including cancers and birth defects. The Vietnamese Red Cross estimates that 3 million people today suffer from dioxin poisoning related to the U.S. usage of defoliants between 1961 and 1971. Many were exposed to dioxin that had entered the local environment and made its way into the food chain. 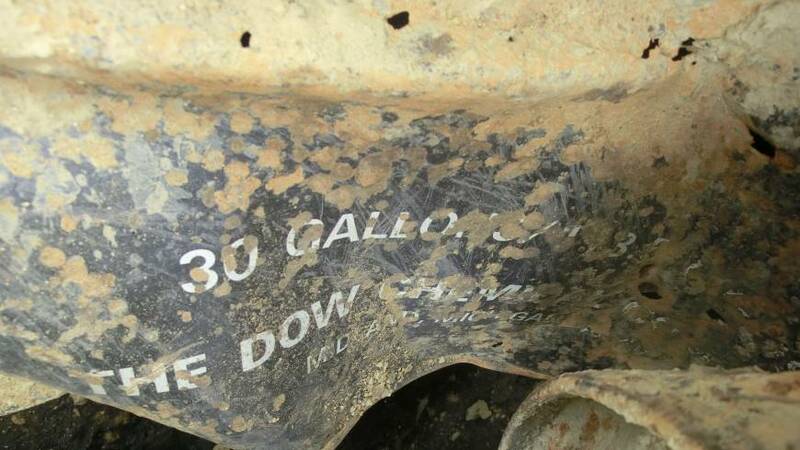 Debate over the exact contents of the Okinawa barrels has been fierce since their discovery in June on land that was formerly part of U.S. Kadena Air Base and returned to civilian usage in 1987. 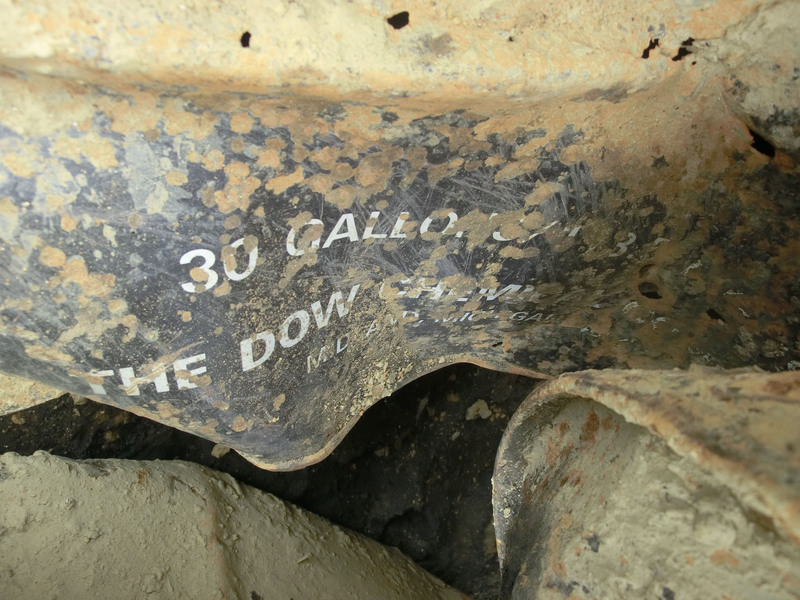 Almost immediately after workers unearthed the barrels, a Dow Chemical representative told journalists that the type and markings on the containers were inconsistent with the way it shipped defoliants. Meanwhile, an Okinawa Defense Bureau representative told The Japan Times last week that the possibility of them containing defoliants was slim. The bureau stressed the fact that it failed to find traces of one of the other ingredients of Agent Orange, 2,4-dichlorophenoxyacetic acid. However, it neglected to mention that 2,4-D is biodegradable and so would have broken down in the years since the barrels had been buried — rendering detection likely impossible. The bureau did not announce the discovery of TCDD during a news conference July 24 until it was questioned by reporters, triggering suspicions among reporters that the authorities may be attempting to downplay the possibility that the barrels contained defoliants. In a recent article, the U.S. military newspaper Stars and Stripes accused the Defense Ministry of fudging the true data. During the Vietnam War, the Kadena base was one of the Pentagon’s primary transport hubs for the conflict. Earlier this year, The Japan Times revealed that a 1971 U.S. Army report on Agent Orange cited the presence of a “Herbicide stockpile” at Kadena. More than 150 U.S. service members claim to be sick from exposure to Agent Orange on Okinawa Island — some of whom allege they sprayed the defoliant at the Kadena facility to kill vegetation near perimeter fences and its runways. Veterans also claim that large quantities of Agent Orange were buried on the island during the 1960s and 1970s — including at Kadena. Still, the Pentagon denies that it ever stored military defoliants — including Agent Orange — in Okinawa. In February, it released a 29-page report denying that such substances were ever on the island. “I would venture to say these data (from Ehime University), and the presence of substantial levels of TCDD in the barrels, thoroughly negates the Pentagon report repudiating the presence of Agent Orange and other herbicides on Okinawa,” said Dwernychuk. Dwernychuk urged local authorities to mitigate the risk to people living in the area. “Removal of the barrels and contaminated soils should be a priority. Groundwater studies should be undertaken to determine if there has been any transport of TCDD to other areas — facilitating human exposure,” he said. 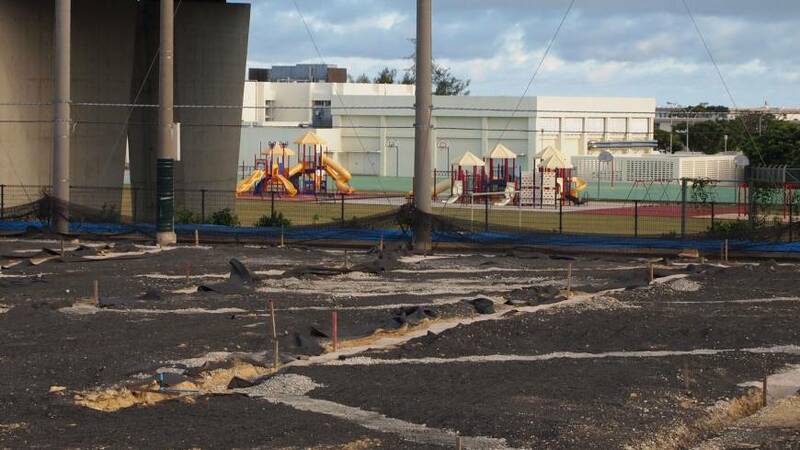 Directly adjacent to the barrels’ dump site — on the other side of the fence — within Kadena Air Base, are two U.S. Defense Department schools, Bob Hope Primary School and Amelia Earhart Intermediate School. Inquiries to both the Pentagon and United States Forces Japan as to whether dioxin checks would be conducted at the site were unanswered at the time of publication. 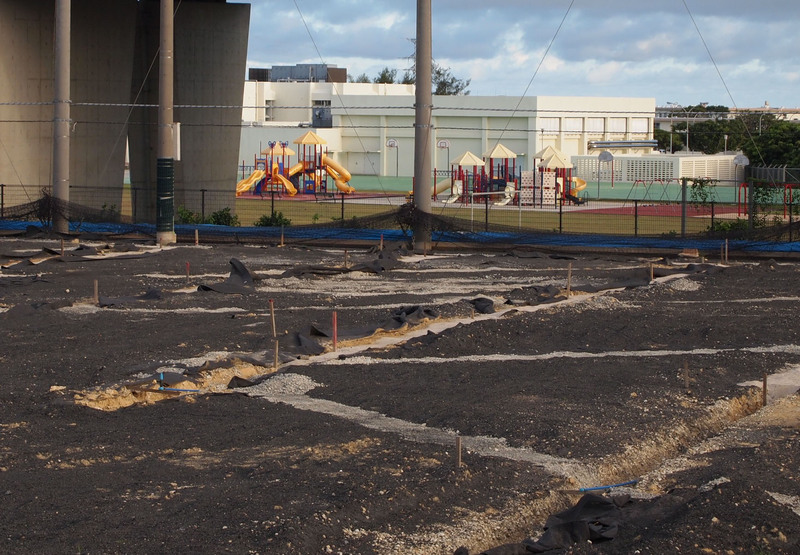 Until now, only a small fraction of the Okinawa soccer pitch has been surveyed. The municipality has announced that it will conduct further tests to discover whether any more barrels lie buried beneath the field.